Dealing with a divorce or family law issue can be one of the difficult and painful events in a person’s life. Picking the right divorce lawyer can make a huge difference in how well you handle and survive this difficult time. A good divorce lawyer or family law attorney should ideally be skilled at two very different things. A family law attorney needs to be skilled and ready to fight effectively in court, but only when that fight is what’s called for by the circumstances of the particular case. A divorce lawyer should also be able to identify and pursue options for settlement that will meet the needs of the client without the need for expensive and emotionally painful divorce-court battles. A divorce client is not well served by an attorney that is nervous about entering the courtroom, but a client is also not well served by a divorce lawyer who wishes only to fight, without regard to whether that truly serves the client’s needs. Clients need lawyers who can work effectively on both fronts, and most importantly knows when to do which. As an attorney, Hilton Moore offers you the kind of divorce lawyer that can do the best possible job for you by helping you make good decisions about how to proceed through such a difficult time in your life. For more information about what issues are presented in divorce and family law cases, and how they are frequently resolved by attorneys in the divorce field, please CLICK HERE. 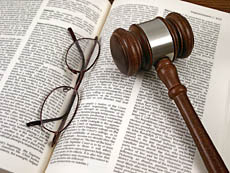 As an estate lawyer, Hilton Moore offers a reasonably priced Package of Wills, Powers of Attorney, and Directives, designed to meet the needs of most people in the distribution of their estate, the appointment of Executors, the nomination of Guardians for minor children, the creation of Trusts for children, the appointment of agents to make medical and financial decisions in times of need, and the making of decisions about extraordinary life-extending efforts. For more details from lawyer Hilton Moore regarding wills, CLICK HERE. As an estate attorney, I believe these documents meet the basic needs that most people are trying to satisfy when making estate plans. More complex plans to meet more complex needs are available.